Join People First Productivity Solutions for this March 1 broadcast of "The First Sale Is Always To Yourself," featuring Australia's leading sales expert Bernadette McClelland. Show host Deb Calvert will interview McClelland on her new book. CONNECT! Online Radio Show, the now-weekly broadcast where professional sellers can "ignite their selling power in just an hour," invites salespeople to tune in this Saturday, March 1, for a challenging interview with this week's guest, Bernadette McClelland. This hour-long show will introduce sellers to McClelland's book "The First Sale Is Always to Yourself" and will instruct listeners on how to create a mindset the enables them to have the confidence to click with their buyers. 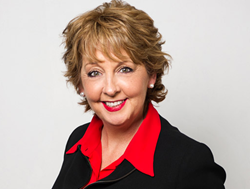 Bernadette McClelland is Australia's premiere sales thought leader. An award-winning speaker and author of two books, she has worked for Xerox and Kodak and founded her own company, Bernadette McClelland Consulting, in 2009. Since then, she has worked with clients like Shell, Microsoft and Westpac, plus numerous other companies globally. During Saturday's interview, Calvert and McClelland will dig deep into the framework McClelland developed for changing seller mindsets to "sell to yourself." This framework utilizes psychology principles and digs into the history of sales to deliver a methodology that enables sellers to feel confident about what they do. This confidence, says McClelland, is what enables sellers to click with their buyers. Tune in at 9:00 am Pacific time on Saturday or visit the archives for this pre-recorded interview. You can find this show and others in the CONNECT! Online Radio Show archive. It can also be found on iTunes at CONNECT1. CONNECT! Online Radio Show for Selling Professionals is a weekly broadcast to help sellers cut out continuances, put an ending to pending and stop stalling out! CONNECT! listeners learn how to improve every connection with every buyer. Join the CONNECT! community for discussion groups, blogs, videos and other free resources for selling professionals, leaders and emerging leaders, trainers, coaches and individuals. CONNECT! is provided by People First Productivity Solutions which was founded in 2006 by former corporate Sales and HR Executive Deb Calvert with the mission "We Build Organizational Strength by Putting People First."